Before you start: make sure you’ve installed RethinkDB—it should only take a minute! 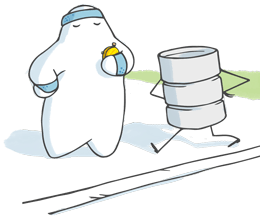 First, start the RethinkDB server. Under OS X or Linux, do this from a terminal window. From Windows, do this from a command prompt window. Use the cd command to go to the directory that you unpacked rethinkdb.exe in. Then, start RethinkDB with its default options. Point your browser to localhost:8080. You’ll see an administrative UI where you can control the cluster (which so far consists of one server), and play with the query language. Finally, let’s do a slightly more sophisticated query. Let’s find all shows with more than 100 episodes. As a result, we of course get the best science fiction show in existence. Congrats, you’re on your way to database bliss! Now move on to the ten-minute guide and learn how to use the client drivers, get more in-depth information on basic commands, and start writing real applications with RethinkDB.